Doctor Who began its rich and vibrant history November 23, 1963 when the small science fiction premiered on the BBC. The show was the brainchild of Sydney Newman, the head of BBC drama. With up-and-coming producer Verity Lambert at the helm, the show became a fast success, and developed into a science fiction mainstay. The first episode opens, plopping audiences right in the middle of London in the early 1960s. 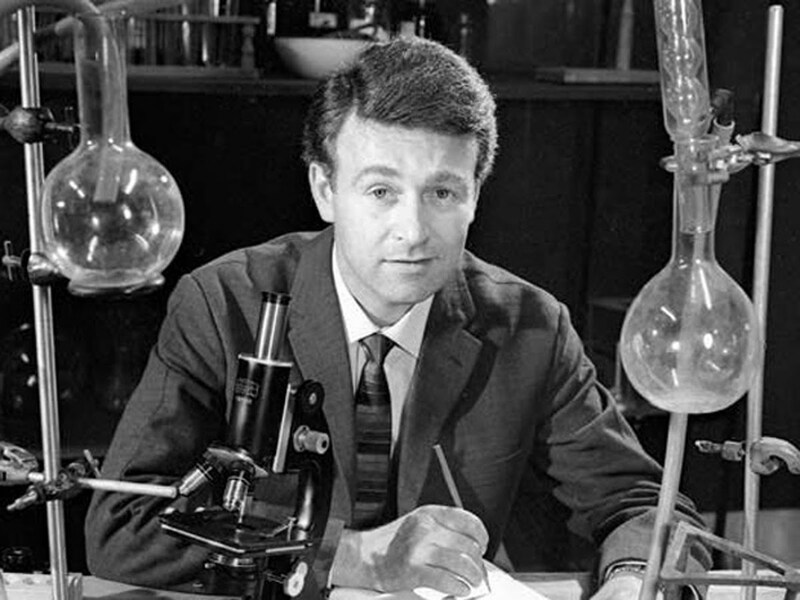 Interestingly, rather than the Doctor, audiences are first introduced to secondary school teachers Ian Chesterton (William Russell) and Barbara Wright (Jacqueline Hill). The two teachers find themselves oddly intrigued by one of their students, Susan Foreman (Carol Ann Ford). One night, Ian and Barbara (in a surprisingly unacademic way) decide to follow Susan home. However, they are stunned when Susan leads them to a bright blue police box in the middle of a junkyard. It seems this is where Susan lives with her grandfather “The Doctor” (William Hartnell). The resulting meeting throws our characters into the action of the first season. The series hits the ground running, feeling especially fleshed out by their second series of stories. The TARDIS crash-lands on a mysterious planet, boiling in radiation. In dire need of mercury to fix their broken equipment, the team stumble outside into the unknown terrain. However, the levels of radiation in the air takes them by surprise, and soon they soon find themselves captured by the strange and evil Daleks. The story is a lengthy one, and the hallmark Doctor Who villains seem completely realized, in much the same form as they appear during “New Who”. The biggest change for a faithful viewer of “New Who” is getting used to the longer, more serialized format of “Classic Who”. The series is very serialized, much like other shows from this era in television. The stories don’t conclude in a single episode. Rather, narratives are given an extended period of time to play out. For example, the second story in series one, “The Daleks” plays out over seven episodes. As such, the tone does feel much slower during parts of the season. However, this structure allows the characters more time to develop, giving them more opportunities to interact while the stories play out. Related: Check out our recaps for the new Doctor Who series, here. When he took on the role of The Doctor, actor William Hartnell was a mainstay in British cinema. Hartnell is credited with making his film debut in the early 1930s, and he worked steadily throughout the following decades. Hartnell’s career exploded after World War II, when crime and thriller pictures dominated British movies screens. In his portrayal of the Doctor, the zany, quirkiness of later incarnations is noticeably absent. 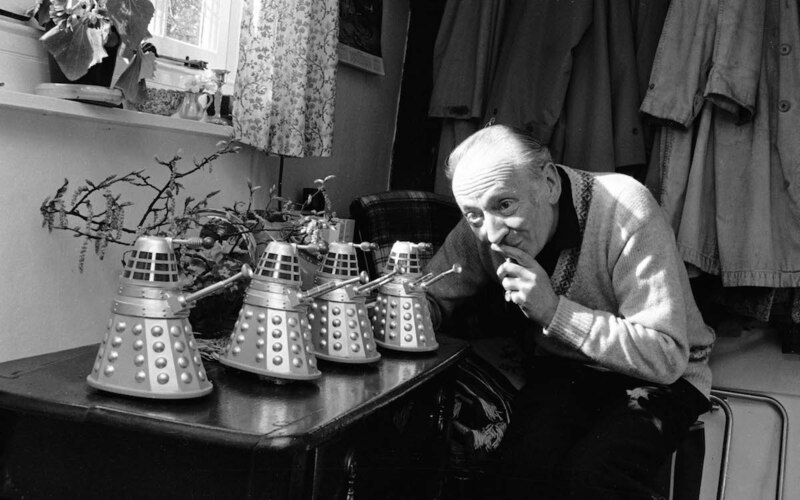 Rather, Hartnell’s Doctor serves more like a grandfather to his much younger companions. At times he’s gruff, while at others he’s affectionate. Viewers completely unfamiliar with the premise of Doctor Who might find find his eventual reveal as a “Time Lord” surprising. In fact, fans of the the more colorful “New Who” Doctors, might find his portrayal dull. In these early episodes, there is little to demonstrate that he’s not of this world. He’s not an adventurous Doctor, and the sonic screwdriver has yet to be introduced. As such, most of his contributions to the plot revolve around his mental pursuits. While there’s plenty to enjoy in Hartnell’s performance, audiences who are only drawn by the Doctors’ crazy behavior, might not enjoy the First Doctor. The relationship built between Doctor and his multiple companions is an interesting one. Actor William Russel has been quoted in various interviews speaking about Ian’s purpose in the narrative. It seems the creative team introduced his character for the purpose of doing the action related stunts. While later Doctors often take on foes themselves, Hartnell’s Doctor tends to step back and let Ian fight, lead search parties and generally control their investigations. He (as well as Barbara and Susan) are the heart of the show. The Doctor is its head. As such, there are instances where the show very much belongs to Russell. For example: there are large chunks of “The Keys of Marinius” where the Doctor is completely absent while Barbara and Ian serve as the focus of the episode. Meanwhile, as companions Barbara and Susan very much belong in this era of history. Viewers who dislike their companions doing a lot of screaming and fainting might find these two a bit tiresome. Ian rescues them a lot. However, as the first season continues, Barbara begins to show some interesting growth. At one point in “The Keys of Marinius”, she expresses her annoyance to Susan that Ian always treats them “like porcelain dolls”. While the season develops, she gets out on her own much more, with varying success rates. It will be interesting to see how the characters continue to change into the second season. For fans who have never watched “Classic Who”, the first series is always a great spot to jump in. Much of the groundwork laid in the first season is still present in the current series, and a number of elements feel very familiar. While elements started slowly, the new science-fiction series managed to find its footing quickly. As such, the genre series developed quickly into a popular ratings favorite. Streaming website Britbox is currently streaming all existing classic episodes of Doctor Who.